This recipe should actually be called, “I’m Being Lazy on a Sunday Sauce,” but I didn’t think it sounded all that catchy. But that’s exactly what this sauce is. 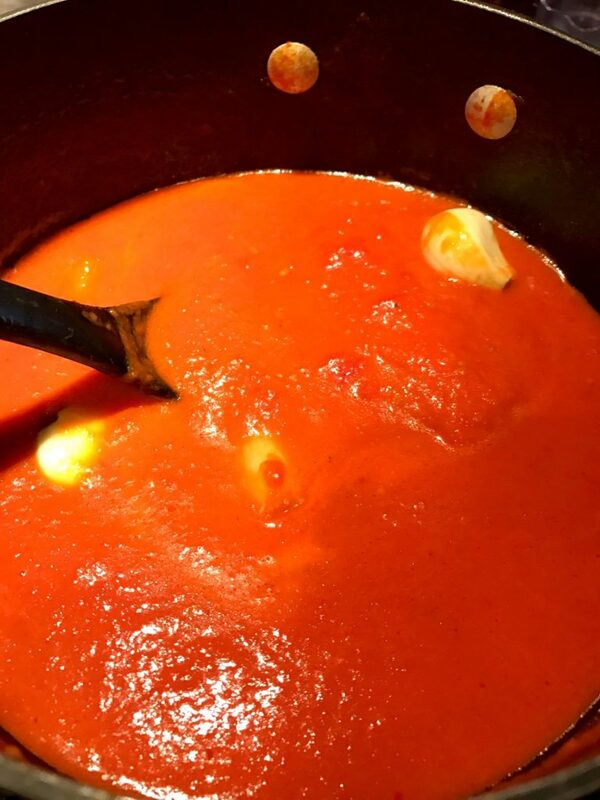 Between being lazy and having a crazy Sunday, I came up with this recipe during my Sunday meal prep as a way to make a delicious and hearty marinara sauce that tastes like your grandma spent a better portion of the day cooking it. 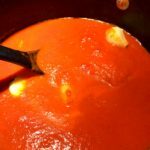 This certainly isn’t a replacement for a three meat, all day Sunday gravy, but it is one of the best marinara sauces I’ve made with minimal effort and goes great with just about any type of pasta for a quick weeknight meal. This recipe makes about 8 cups, so I froze half. The other half I used with a pound of rigatoni and homemade meatballs. I paired with a simple salad and in dinner was ready in less than 30 minutes. When using the sauce, cook and drain your pasta. Then put the sauce in a large saucepan and heat it up. Then add your pasta and toss to coat. Garnish with some Parmesan cheese and you’re good to go! As I said in my Crock Pot Potato Cheddar Soup post – my apologies for the low quality images. I was in a hurry and being lazy. Image quality will improve in my next post – I promise! 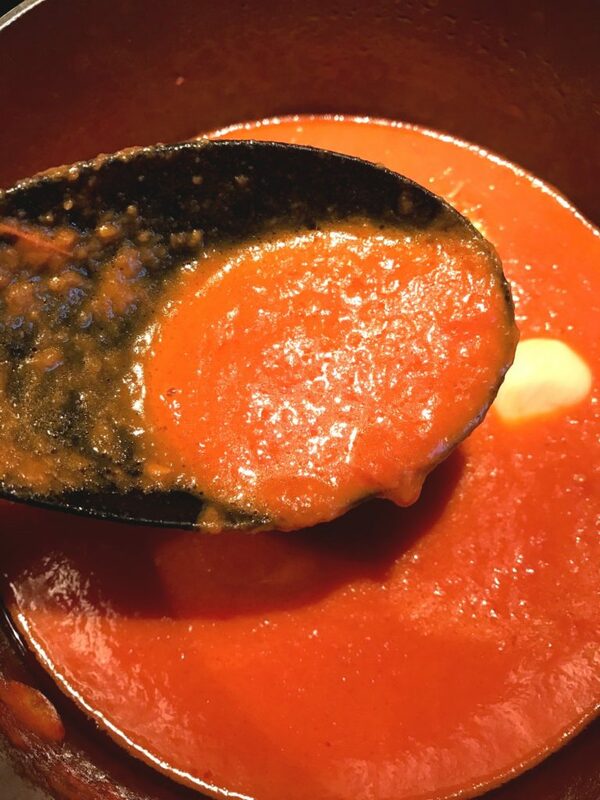 Lazy Sunday Sauce – perfect when you want homemade marinara but don’t want to be in the kitchen all day. Place tomatoes, butter, onion, garlic, tomato paste, basil and parsley in a pot over medium heat. Bring to a simmer and cook for 90 minutes, stirring occasionally. After 90 minutes, remove onion and garlic cloves. Place sauce into a blender and blend until smooth. Return sauce to pot and add salt. Simmer for 30 minutes, stirring occasionally.